An exciting new word building game that teaches phonemic awareness, letter patterns and positioning. Covers different letter combinations, including: consonants, vowels, digraphs, and blends. The player who makes the most word wins! Ages 5+. Grades K-3. 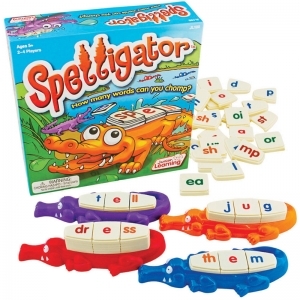 Includes 4 Spelligators, 73 letter tiles, game guide and word list. 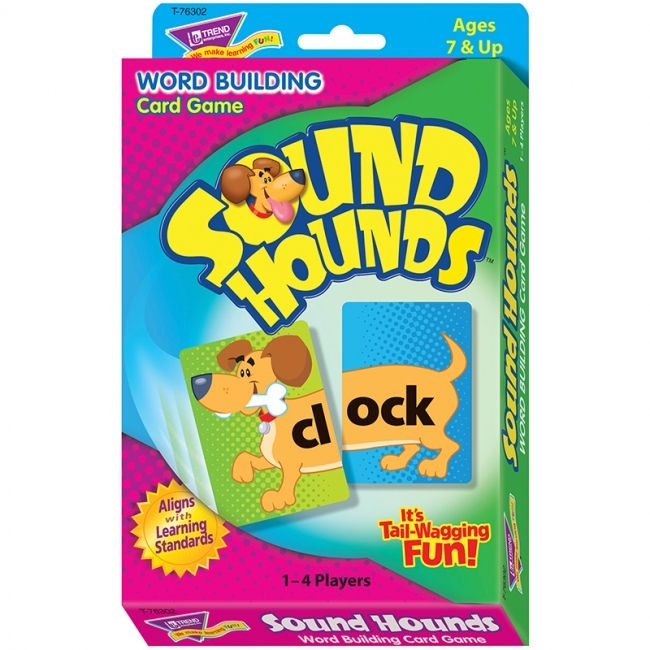 Playful pups make it fun to build words! Players match head cards (word beginnings) with tail cards (word endings) to earn points. 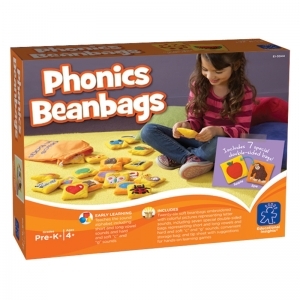 As they play, kids build phonics skills and decode unfamiliar words. Aligns with learning standards. Ages 7 and up.